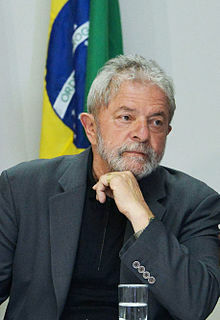 Lula was favourite to win Brazil’s 2018 presidential election until he was jailed and barred from standing, in a move condemned by the UN human rights committee. The election was subsequently won by the far-right Jair Bolsonaro, who has said he hopes Lula “rots in prison”. Astonishingly, Judge Moro, who oversaw Lula’s trial, has now been appointed as Bolsonaro’s minister of justice.